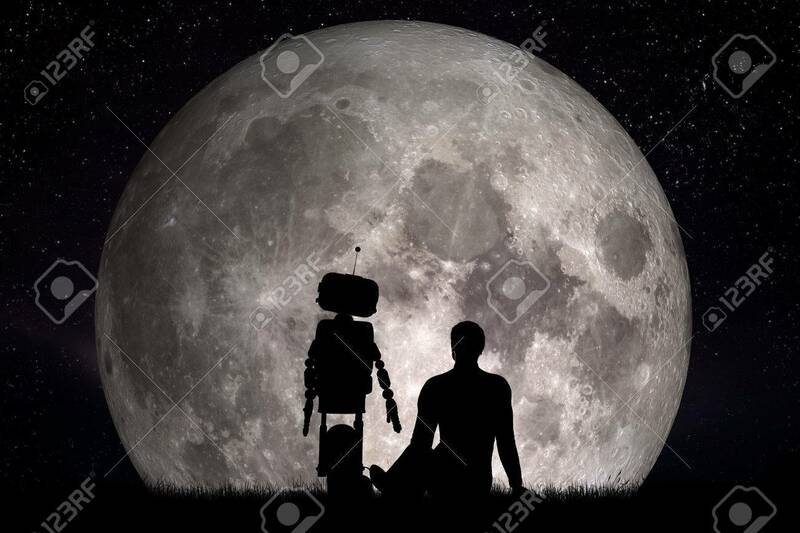 Man And His Robot Friend Looking On Moon. Future Technology Concept,.. Stock Photo, Picture And Royalty Free Image. Image 59181873.